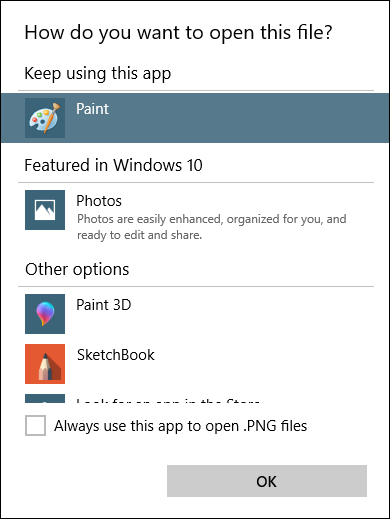 How to change default Win10 graphics app for photos? Every time I double click on the photos on my Desktop they’re opened with the wrong app. I don’t want to use Paint 3D to edit photos! How can I change the default program for PNG files on my Windows 10 computer?? One of the easiest ways to drive someone crazy on a Windows computer is to change the default application for common file types. Imagine if every time you clicked on a Word document it simply failed to open in Paint or Firefox. Fortunately in both the cases when someone’s played a practical joke on you and when your computer’s just gotten confused, it’s easy to fix it all up and get the correct program to launch for various file types. The easiest way to assign a program to a file type, however, is to find a file of that particular type and change what program is assigned to open it. There are two basic ways to accomplish this task on your Microsoft Windows 10 computer, and they’re both just a few mouse clicks away. Look closely at the middle section and you’ll see that this particular image file is set to open with Photos. More importantly notice the “Change” button. That’s all you have to do. Click on “OK” to set this change throughout the system and you’re done. 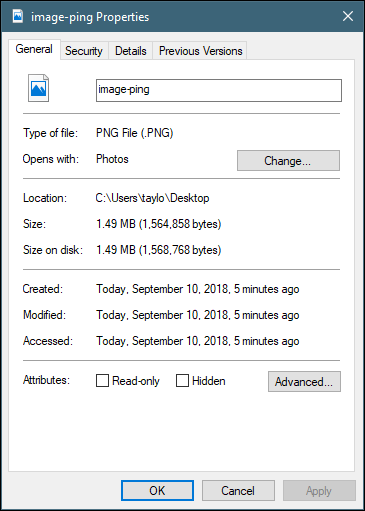 Now any PNG files on your system will double click and open with Paint, not Photos. 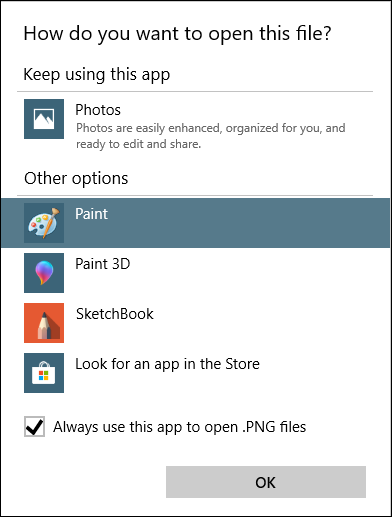 Of course Microsoft recommends that Photos is a better choice with its “featured in Windows 10” and, frankly, it probably is a better choice, particularly if the PNG files are photos. But now you know, you can assign whatever files to whatever programs you’d like, reverse a program aggressively taking over too many file types, etc. Pro Tip: My site is chockablock full of useful Windows 10 tutorials and content. Please take a few minutes to check it out!